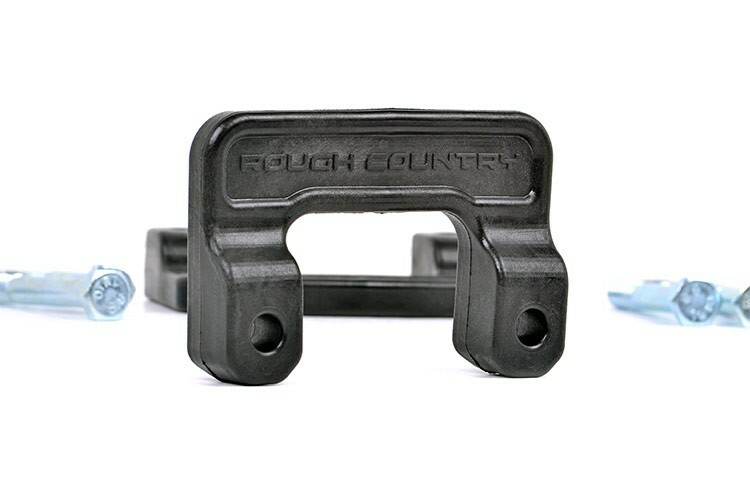 Run up to a 32-inch tire while leveling the front of your vehicle with the rear, using Rough Country's 2-inch Leveling Suspension Kit for Chevy / GMC 1500 Pickups. 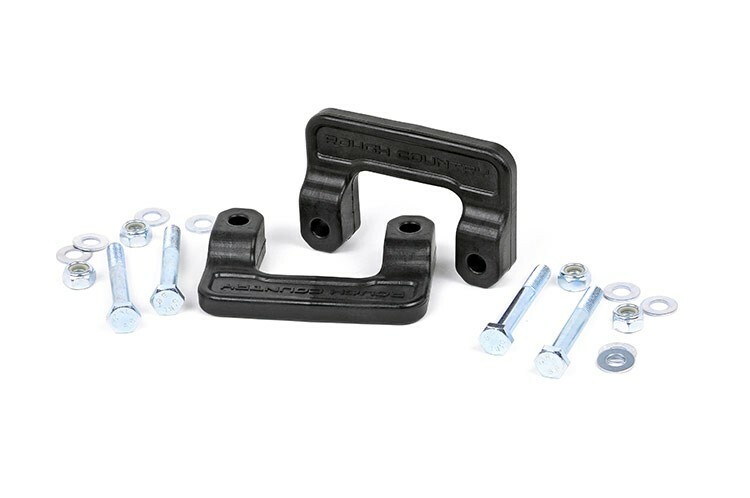 This set of lower front strut mount extensions immediately offers increased ground clearance without the hassle of a long and drawn out installation process. Featuring 100% bolt-on installation and a unique design that allows fitment without the need to disassemble the strut, you're ready to get that killer look in no-time flat. Does NOT fit 2014-2017 GMC "Denali" models. ONLY fits models with stock Cast Aluminum or Stamped Steel control arms. Does NOT fit models with stock Cast Steel control arms.